It’s that time of year again where I put together my yearly Fathers Day gift guide, and if anyone has followed my blog over the years then you’ll know that I absolutely love putting together gift guides! This year i’ve teamed up with Fragrance Direct to bring you some gift ideas that i’m sure any Father or Grandfather would love to receive this Fathers Day! Stuck for idea’s on what to treat your Dad or Grandad to this Fathers Day? Hopefully this gift guide will have you covered! When it comes to buying gifts for my Dad or men in general, I find that although they all have their own individual taste in certain things there are certain things that all men love and appreciate equally. 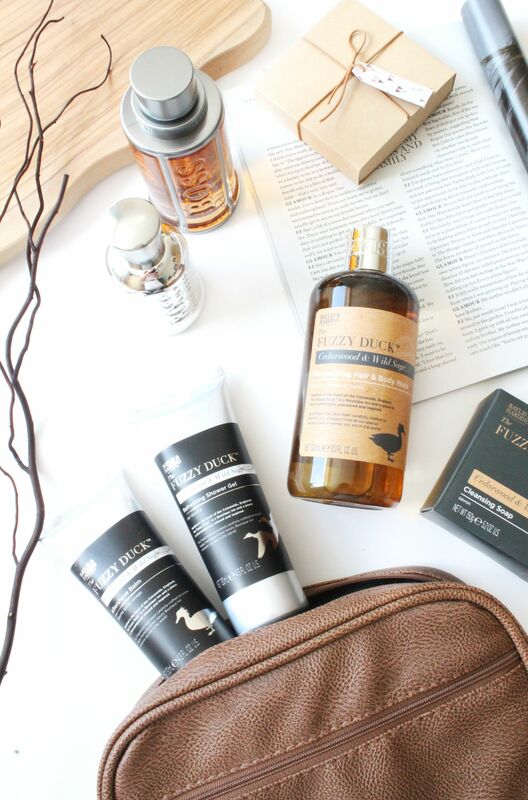 With my blog being mainly beauty focused, of course this gift guide focuses on the beauty side of men and hopefully these few products will give you some ideas for your own fathers day gifts. Starting with toiletries and personally one my favourite brands is Baylis & Harding as they do some absolutely beautiful scents and I didn’t know that they also have a ‘Fuzzy Duck’ range of products specifically for men! One thing I have known most men in my life to have and somewhat take pride in is their wash bag, especially if they are travelling and their Fuzzy Duck Overnight Kit* (£12.99) would make the perfect gift for any man who travels a lot or is going on holiday soon and could do with a nice new wash bag. This gift set contains four products including a soap, hair & body wash, shower gel and aftershave balm, all accompanied by a faux leather wash bag of which is of a lovely quality and is of a good size to fit everything they’d need when travelling. Now it wouldn’t be a gift guide with Fragrance Direct if I didn’t feature a fragrance or two, and the brand of the moment seems to be Hugo Boss. 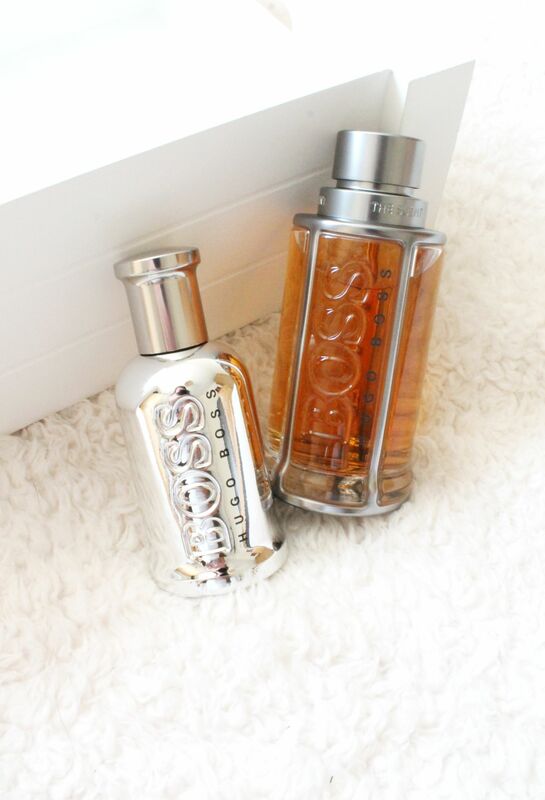 I personally love their women’s fragrances and my Dad is a massive fan of a few Hugo Boss fragrances as they have a wide variety of fragrances tailored to different tastes. A recent release of theirs is the Hugo Boss United Eau de Toilette* (£39.95) which was curated with football in mind, so this would be the perfect fragrance for any Dad who loves their footie! It’s described as encapsulating all the elements of a city football pitch with hints of the fresh outdoors and urban notes of wood. Similarly to all Boss fragrances, the packaging is signature to the brand and I love the chrome finish to this as it gives a sense of strength and is very sleek. Another fragrance from Boss that would make a lovely gift this Father’s Day is the Hugo Boss The Scent Eau de Toilette* (£40.95) which is the mens version of their best selling ‘The Scent’ range. I have and love the women’s version of this scent and i’ve heard some great things about the men’s version of this fragrance. Similarly to the women’s fragrance this is for the sensual and seductive type of man with notes of ginger and leather mix to create a powerful and bold fragrance that any man would love! So those are a few gift ideas for this Father’s Day and I hope it’s given you some inspiration when shopping for your Dad’s!